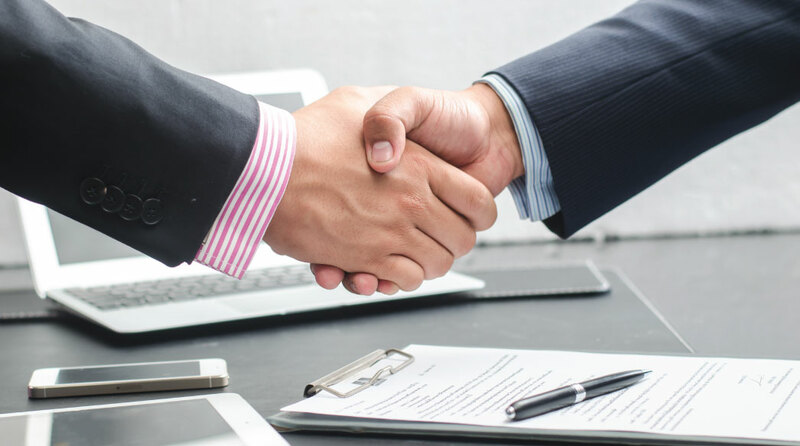 As more companies look to outside vendors for providing technology support, they are entering into contracts with Managed Service Providers (MSPs). There are some essential elements of an MSP contract that you should look for before signing anything. These are typically addressed in the Service Level Agreement (SLA) portion of the contract, but can be contained anywhere, as long as they are there and provide some enforcement mechanism. An SLA has two major components, Service Levels and Problem Resolution Priorities. When you place a crucial portion of your company’s infrastructure into the hands of a third party, you lose some control over the operational aspects. You are relying on the service provider to meet your expectations for quality of service to your company. In order to protect yourself from some of that risk, there are two service level metrics that you want to address in the contract: uptime and service request response time. Uptime refers to the amount of time a system is available for use. It’s calculated as a percentage of the total available time. 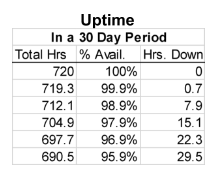 If you have 99.9% uptime for the month, the system was unavailable for use 42 minutes in a 30-day period (Table 1). To determine what up-time levels are appropriate for your company, take a look at the current levels of service you’re getting today. When you negotiate with an MSP for services, you’ll want to get agreement for uptime to be in excess of 99% for operational use hours. Service Request Response Time refers to the amount of time that it takes to get a particular service request completed. The SLA should define how long it will take to satisfy that service request. For each service provided by the MSP there should be a defined amount of time you should expect to wait before that service is completed. If that’s not acceptable then negotiate shorter times into the contract. On the enforcement side of the SLA you have a couple of options. If the provider fails to perform at the desired level you can ask for a refund of monthly fees or you can terminate the contract. Both of these options are valid separately, however, the combination is even better. If your uptimes don’t meet the SLA levels you may want to consider getting a refund of a portion of the monthly fees you’re paying for the system. This is a productivity issue for the company. If the system wasn’t available when needed you weren’t able to do business and thus there is some loss for which you should be compensated. To address chronic uptime/response problems, you can build in a contract termination clause if uptime and/or response time levels are not acceptable over a defined period. The second part of an SLA addresses how problems are resolved when things go wrong. It may be a critical problem where the system is totally down, or just a minor inconvenience. In either case, you’ll want to know what’s being done to fix the problem. Along with those definitions, you should also get a resolution timeframe, who to contact to report a problem and how often you will be updated on progress toward a solution to the problem. Most vendors should be willing to supply you with a Service Level Agreement and reports on how well they are doing meeting those metrics. This is how they compete in the marketplace and can point to the SLA as their commitment to their customers. You should have your MSP report those statistics to you on a regular basis so you can be sure that you’re getting the services that you’re paying for. If a vendor isn’t willing to report all of the Service Levels and Problem Resolution Priority numbers, you will have to consider whether their support structure is able to provide you with the kind of service you can rely on to support your business. Mike Scheuerman is a CIO Consultant for Virtual Information Executives. He brings over thirty-five years of senior executive leadership skills and technical expertise with domestic and international operations to VIE’s clients. He has worked in multiple industries, including financial services, health care, high tech manufacturing and higher education. Mike’s Information Technology experience covers a broad array of skills, including Outsourcing Management, Customer Relationship Management, Supply Chain Management, Business Intelligence and Infrastructure Management. He is noted for creating strategic business and technology plans that drive significant growth while also focusing on cost containment. Mike has served as CIO at multiple organizations including Northwest Corporate Credit Union, Providence Medical Center Seattle, Kettle Foods and Portland Art Museum. Than you for the concise and well written article. How would you or do you see value in having the contract align with the Information Technology Infrastructure (ITIL) structure? Most good Managed Service Providers have come to realize that the Information Technology Infrastructure Library (ITIL) is a way to provide consistently superior service to their clients. Although there is ITIL certification available for individuals, there is currently no ‘ITIL compliant’ certification for organizations. However, ITIL processes are a good foundation for certification under the international standard for IT Service Management (ISO/IEC 20000). Those MSPs that have implemented ITIL processes, with some minor enhancements, may be able to achieve compliance with and seek certification under ISO/IEC 20000.